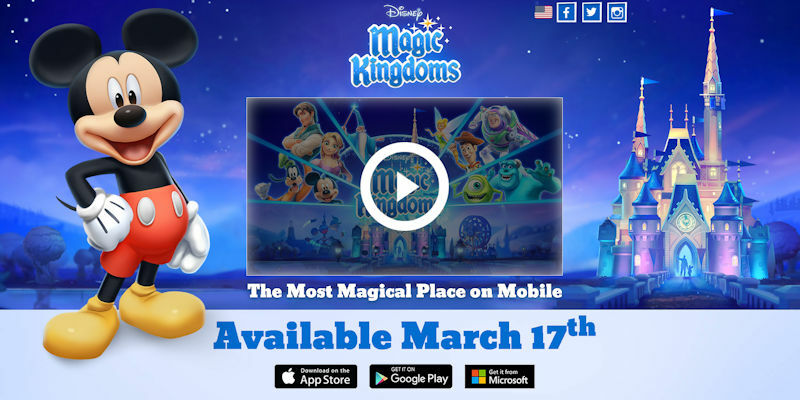 Gameloft has updated their teaser site for their new Disney Magic Kingdom game, which is coming soon to iOS, Android and Windows Phone. The theme-park themed game will be about managing a Disney theme park, filling it out with attractions and thwarting an evil plot by Maleficent using classic characters Mickey and Donald. Players can pre-register and earn points which can be used for in-game currency later. Visit Gameloft’s site and register here.